If you are new to the cannabis world, then you may still be getting your head around all of the different ways you can enjoy nature’s most excellent flower! However, for those of you who are seasoned pot users, we understand all too well how easy it can be to get carried away with gadgets and the newest weed accessories! Whether you are a lover of the humble joint or love an all-singing, all-dancing piece of kit to get high with, nobody can deny that there is nothing quite like getting a shiny new cannabis accessory. In honor of that, today we are going to be taking a look at five cannabis accessories that take your sesh experience above and beyond! Before we jump into the good stuff, let’s first address what we actually mean by cannabis accessory. No, we don’t just mean rolling papers! 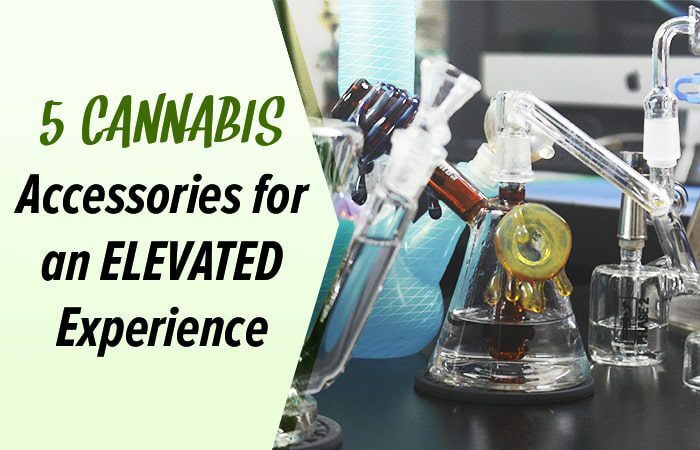 Cannabis accessories can mean anything from pipes to bongs, rigs to grinders, and trust us; there is A LOT out there to choose from.